On 30 April, Vietnam celebrated the 41st anniversary of their victory over the American aggression in Southeast Asia. Do note well how the hubristical Anglos shy away from talking about their defeats in Korea and Vietnam… and their looming defeats in Afghanistan and Libya (not to mention their failed projects using puppet clients in Georgia, the Ukraine, and Syria). 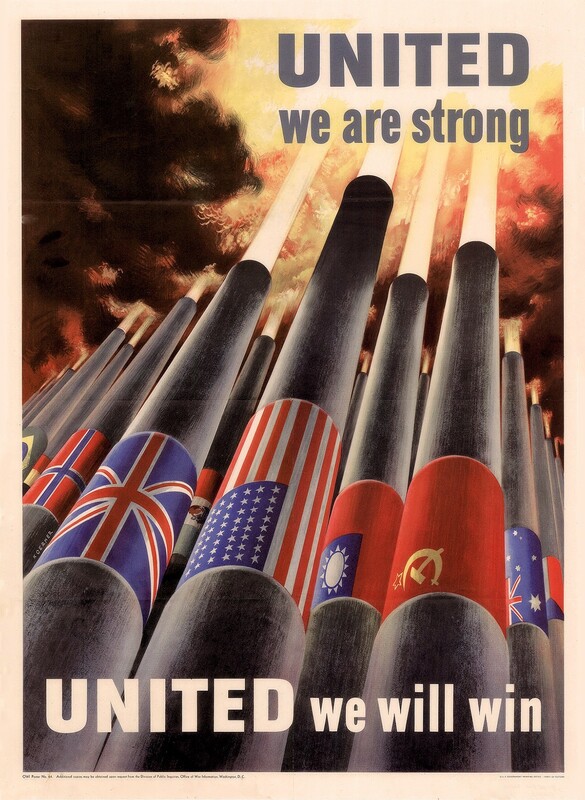 The USA has never been a “hyperpower”… it isn’t the “strongest nation on Earth”. It merely spends the most on its military… much of it wasted in political corruption (the worst in the world) or frittered away in pointless conflicts in Southwest Asia and North Africa… theatres of little importance to American national security. 28 November 2013. Why Does The Right Distort Our REAL History? One of the most disturbing aspects of the last thirty, “deregulated“, years has been the mendacious and blatant distortion of history by the right. Of course, the most blatant abusers are Fox (Non-) News and Rush Limbaugh, but the rightwing publicity machine, along with “Evangelical” propaganda, also played their roles in this dirty little game. In many ways, it continues the failed 1950s McCarthyite scam… but with collusion from the government. Many things allowed today under “deregulation” were rightfully unlawful and criminal prior to 1981. Yes, kids… most of the crapitalist nonsense tactics allowed in the contemporary USA were ILLEGAL prior to Slobberin’ Ronnie. The Republican Party deteriorated to the point were it nominated an open tax cheat (with MILIONS in offshore accounts) and draft dodger (his corporate daddy bought him a dodgy “clergy” deferment during the Vietnam War) as its presidential candidate. That is, it nominated not only a non-patriot, it nominated an anti-patriot. Wet Willy Romney incarnates Marx’s dictum, “Capital has no homeland”. That is, “Capital despises patriotism, family ties, and hometown loyalties”. 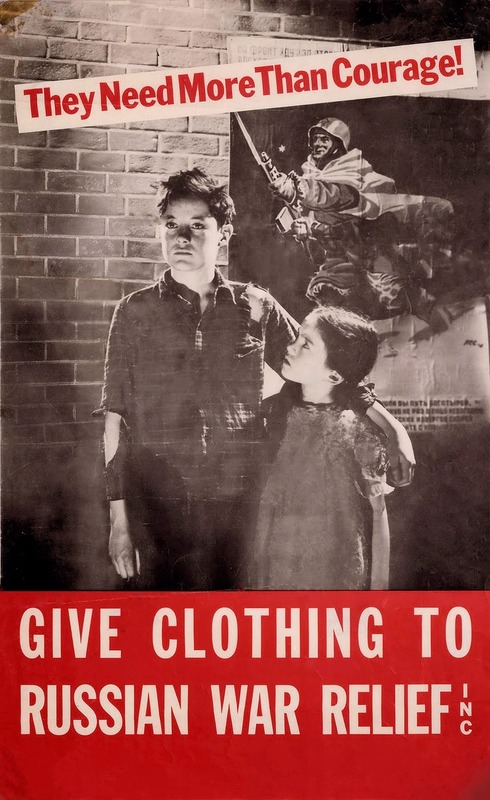 Look at the above posters from World War II. At that time, the USA had a semi-socialist government. 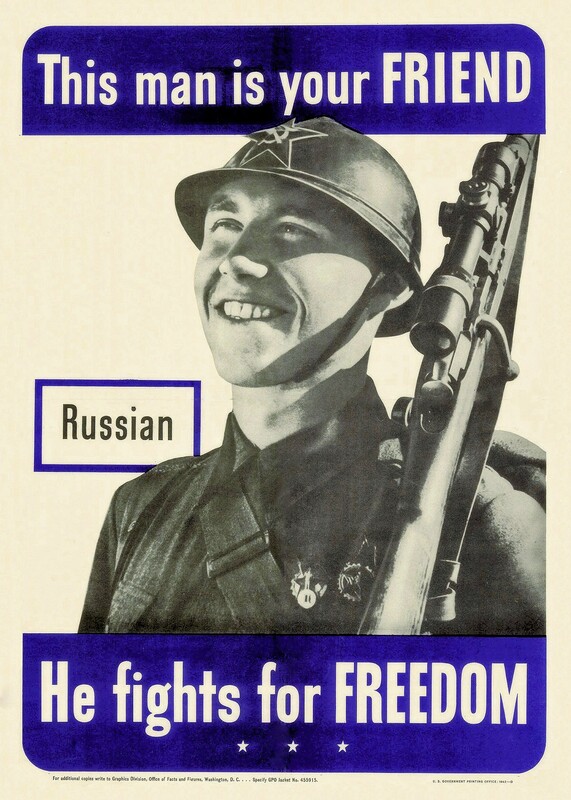 That allowed the USA to mobilise its resources efficiently… it allowed the USA to outproduce the Axis all on its own. In short, socialism not only works, it works wonderfully. Mind you, had the USA had a full socialist system, the miracle of production would’ve been GREATER. 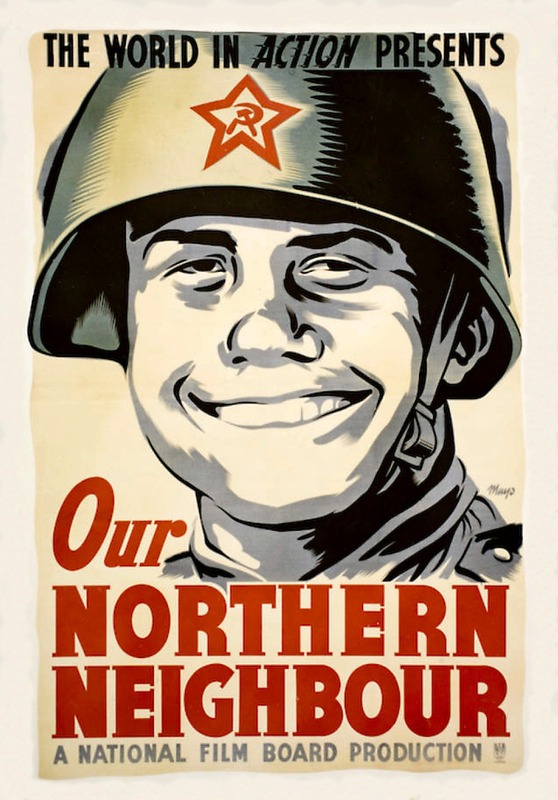 Don’t listen to rightwing rubbish that socialism is a “failed system”… the fall of the USSR had nothing to do with that, it succumbed to a coup carried out by a bunch of nutters… it had nothing to do with socialism per se. Gorbachyov gambled… and lost. Nevertheless, his gamble had nothing to do with socialism itself, it was a failed attempt to overhaul the USSR‘s governmental apparatus, which is entirely different. Understand this… the USA of today isn’t the USA of World War II. It’s degenerated into a kleptocracy run by corporate interests. We’re no longer the “Land of the Free”… Bush saw to that with PRISM, black sites, Guantánamo, and the TSA. We’re no longer the country that moves and lights the world (in the industrial sense)… selfish oligarchs gutted our industry, sent it abroad (in search of cheap labour), and put their added profits in offshore banks, refusing to invest in this country. In short, the platform of the Republican Party is nothing but rapine for the sake of the One Percent… an enterprise that’s not only criminal to the bone (for it WAS illegal prior to 1981), but also sinful and immoral (according to both Pope Francisco and HH). Note well that some Orthodox clergy support the Republican Party and “bless” its immoral criminal programme. They’re modern chernosotentsy… they’re the same sorts who brought down the persecution on the Church in the homeland (God DOES see and judge). Comments Off on 28 November 2013. Why Does The Right Distort Our REAL History? I saw this little number on the Russian web. I support the Prez, as I realise what the alternative is. Do you want a Republican corporatist state? I don’t… and neither do most other people. After all, most folks have wised up to the Republican desire to gut Social Security and Medicare, and ramp up regressive taxes on working people (which includes most managers) so that the One Percent can pay their country club dues, buy their crappy McMansions, and sock the remainder in offshore accounts in the Caymans (they certainly don’t intend to invest it in the USA to create American jobs). Such people are criminals, and we must treat them as such. After all, Wet Willy Romney is a major tax evader and was a cowardly draft dodger in the Vietnam War (his corporate daddy bought him a bogus “clergy” deferment). He symbolises the New GOP… grasping, greedy, a bully, but cowardly at heart. However, this is a good belly-laugh, and it illustrates why VVP won the tug o’ war over Syria. 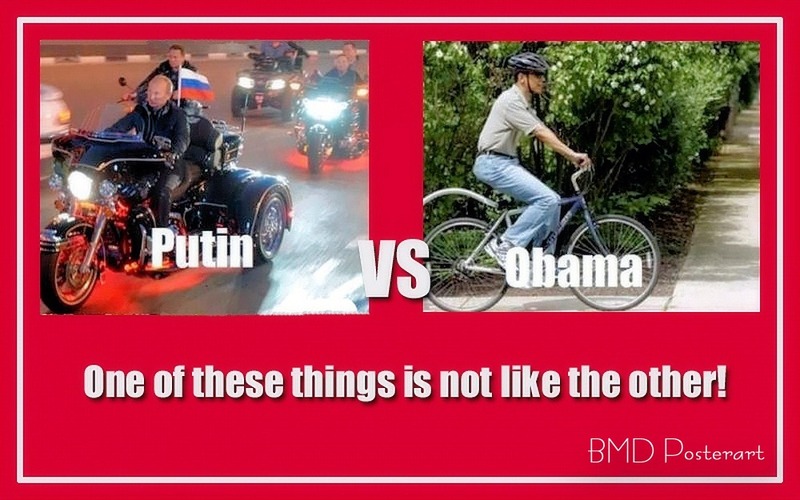 Ease on down the road, Vova!